I picked up the American as a suppressor host.... am waiting for my can to get out of jail, but it should be fun. Found a source for sub-sonic 7.62x39, but it isn't cheap.... I guess nothing fun really is. Buy the CZ 527. I LOVE mine. My only knock is that extra mags are $40 each. I'm finding this to be a very tough choice. 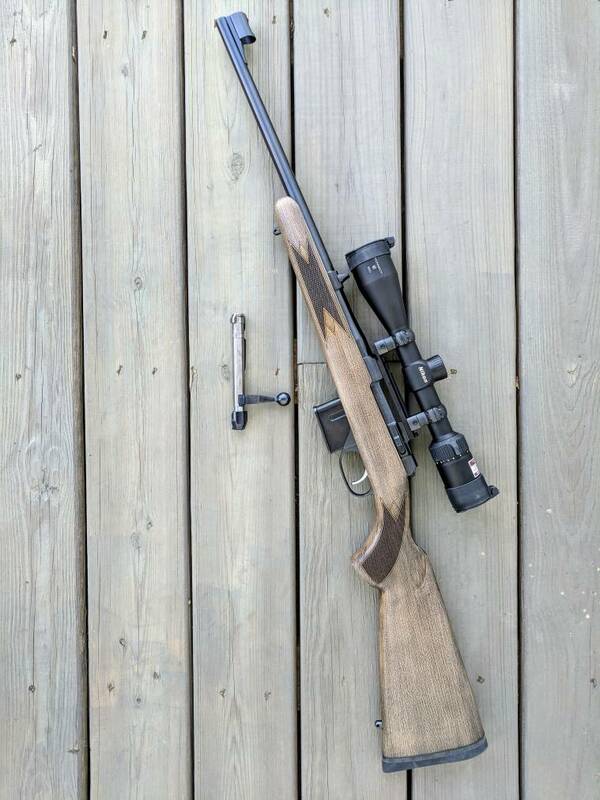 Frankly the Howa options at the current sale prices, the Ruger American Ranch, and various CZ 527 models all have appeal for different reasons. I kind of hope friends get one of the above, so I can get a different one to compare/contrast. 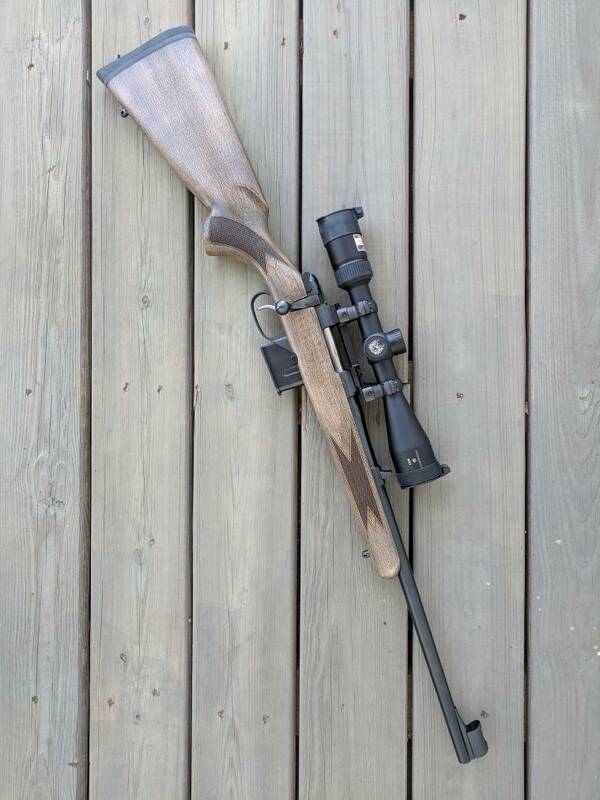 I ordered the CZ 527 with rustic stock. I have the RAR gen 1 in 300 BLK (and an extensive thread here at MDS on it), so this also allows me to mix it up. Was very tempted by the Howa too as I've had good luck with Japanese made rifles, and wonder if imports will increase in price next year. I'm probably going to put a Nikon Monarch 2-10x with BDC reticle on CZ 527 as it adds less than a pound and really covers an useful magnification range (imo) for the 7.62x39 round on a putative brush gun. I might have a spare Weaver 3-12x with very pretty glass if that might work for you (as I owe you). I'm probably going to put a Nikon Monarch 2-10x with BDC reticle on the rifle as it adds less than a pound and really covers an ideal magnification range (imo) for the 7.62x39 round for a putative brush gun. I appreciate ya sir but I’ve already got the vortex and rings in the cart. I’m trying to hold off for no other reason than guilt, as i bought/built 4 Guns in March. Lol, I am familiar with the guilt. And I will find a way to even up. Although I think you should really look at this glass before buying the Vortex. I got it more than half off at Vortex like prices. Pics of mine below. The 527 Carbine Rustic model (in 7.62x39) - that many places advertise as the American Rustic model and provide a picture of a 527 without iron sights. In fact I thought I was getting the latter model, but decided to keep the Carbine Rustic with iron sights after receiving. Required a higher scope mount, which Bob at Gunrunners took care of for me. As it is nominally a "brush gun", I don't mind the higher head position. She's wearing a Nikon Monarch 2-10x. Looking forward to seeing how she performs at the range, especially with cheap ammo. Looks good, my good Doctor! Hopefully she shoots to your expectations. Let us know once you've had a chance to play. I've been happy with the accuracy of my Ruger... it pretty much eats whatever I feed it with pretty good results. Still waiting for my new can so I can have some quiet fun (have laid in a fair supply of subsonic 7.62x39... it was back ordered but since I'm still waiting for the suppressor, no biggie).